Vincent Dreiling, 96, Hays, died Saturday, May 5, 2018, at Good Samaritan Society, Hays.Arrangements are pending at Hays Memorial Chapel Funeral Home, 1906 Pine, Hays, KS 67601. 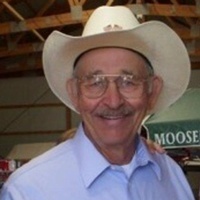 MOUND CITY, Kan. Glenn Allen Riley, age 81, of Sugar Valley Lakes near Mound City, passed away on Saturday, May 5, 2018, at Prescott Country View. Patricia “Pat” Schlender, age 86, of Manhattan, died Thursday May 3, 2018 at the Good Shepherd Hospice House in Manhattan. Keith C. DeWyke, a decorated World War II combat veteran, died Thursday, May 3, at the Kansas Veterans’ Home in Winfield. He was 93. Philip Lee Davis, 64, Wamego, KS passed away Friday, May 4, 2018 at his home. View The Obituary For Martha "Marti" Malcom of Katy, Texas. Please join us in Loving, Sharing and Memorializing Martha "Marti" Malcom on this permanent online memorial presented by Dunsford Funeral Home and Crematory. View The Obituary For Rhonda Kay Krom-Roe of Larned, Kansas. Please join us in Loving, Sharing and Memorializing Rhonda Kay Krom-Roe on this permanent online memorial presented by Beckwith Services & Monuments. View The Obituary For Norman "Rod" Hamm of Lawrence, Kansas. Please join us in Loving, Sharing and Memorializing Norman "Rod" Hamm on this permanent online memorial presented by Barnett Family Funeral Home. 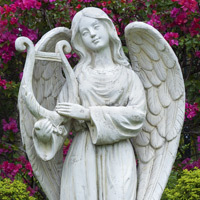 Book of Memories –> Obituary/Death Notice Maps & Directions Tributes/Condolences Place a Memorial Candle Family Login Betty Weaver June 02, 1933 – May 06, 2018 Services Pending.